The goal of any diet is that you can make it into a lifestyle, not just a short fix. Therefore once you’ve used this 7-day 1000 calorie diet and lost the weight you want, we have a variation of this menu for sustaining your weight at almost any daily calorie amount. This menu plan is patterned after the very popular Paleo Diet. The Paleo Diet is known for it’s simple to follow food list, but people in the diet industry want to make it more complicated to sell books and recipes. This is an easy, one-page menu for the week with an included shopping list. No fancy recipes just simply the foods that you should eat if you want to lose weight and eat healthily. Is a 7 Day 1000 Calorie Diet Healthy? The answer is, not for everyone. We recommend you speak with your health provider before making any dietary changes, as we are at a different stage of health. 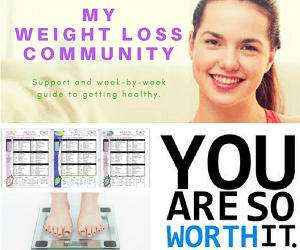 The standard rules for weight loss are to lose only 1 to 2 pounds a week. This helps you maintain the loss for longer. Therefore if you eat 3500 calories less than you did last week, you should lose 1 pound. In that same thought, it takes 7000 calories a week, or 1000 reduction per day to lose 2 pounds. Therefore if you consume more than 2000 Calories a day currently, you should try a higher calorie plan. Please see our 1200 or 1300 Calorie Diet Plans, or browse our site for more. Concentrating on fruits and vegetables for snacks and when you feel like you need a bit more will give your body the food it is really craving. 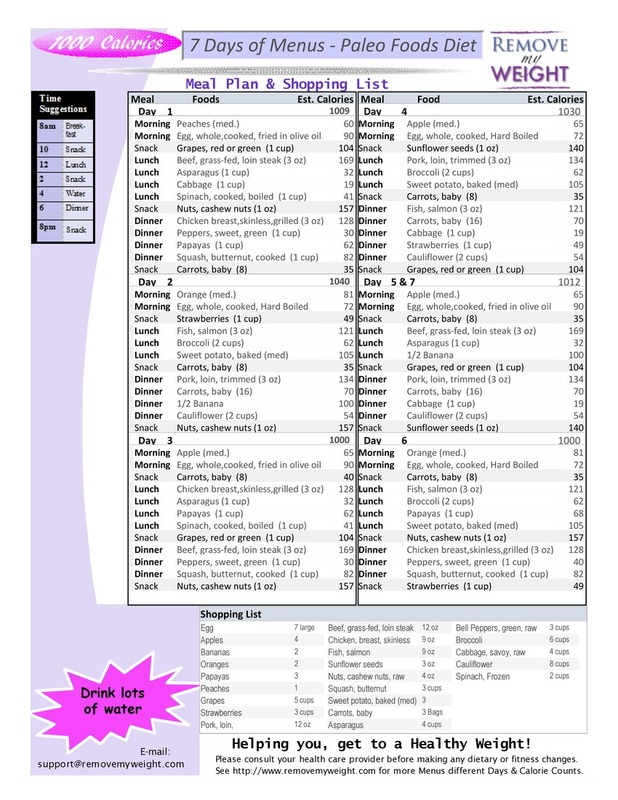 If you are still hungry on this 7-day 1000 calorie diet plan, please add in an apple or orange before consuming anything, not on the shopping list. It’s not about not having enough discipline or self-control. It’s all about giving your body what it really wants, not what you think you want. 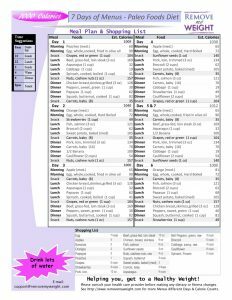 If you like this, please let me know, pin it, share it, and we will make more menus. We are working on expanding the site to include more resources, meal plans, and we want to add the resources you want, so shoot me a note or let me know on any of our networks.